Business Letter Format, a quick how to, is a 1 minute read. 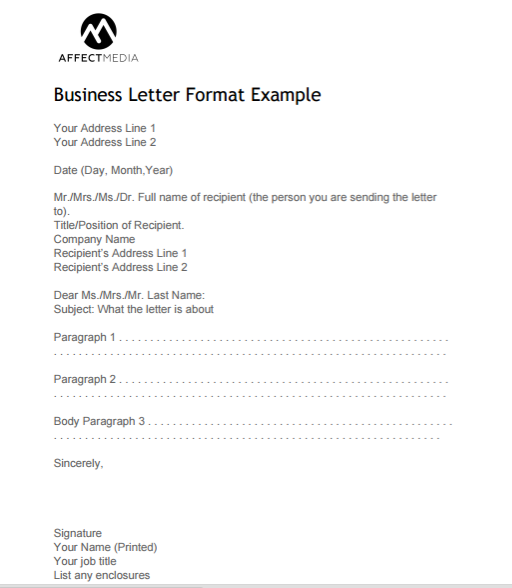 Need help with a business letter format? Here’s a quick and easy guide to get you started. 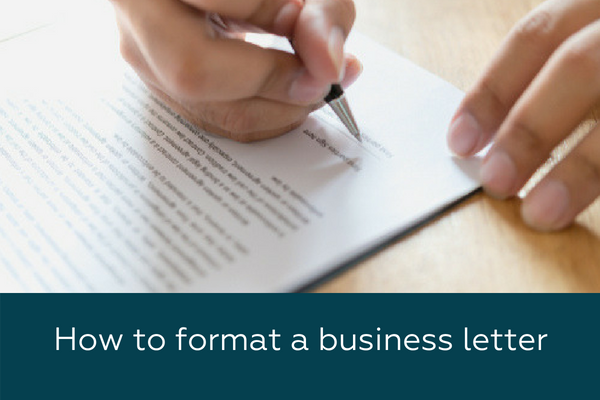 Are you writing a business letter and feel unsure about how to format it? let’s take a moment to work through some of the basic elements of a standard business letter format. I’ve presented them here as a check-list to keep you on track. Keep the main paragraphs of your letter clear and simple. Add 3-4 lines between your salutation i.e., ‘Sincerely’ and your name. This will leave enough room for your signature. Affect Media offers professional business writing and report writing services for organisations of all shapes and sizes. Contact us today if you would like to have your business letter professionally written by a skilled business writer. Need help with professional services content?